The Academic Journal of Üsküdar University, Faculty of Communication, Etkileşim (Interaction), is on its way to fulfilling its mission of providing a scientific, critical and free platform for researchers. Our aim is to enable sharing of scientific information with the contents which will contribute to academicians and researchers in the fields of communication science and social sciences at national and international level. In this direction, Etkileşim is also open to contributions from anthropology, philosophy, history, political science, psychology, and other fields that can approach the field with a different perspective, as well as research, review and book reviews that examine communication from various frames. 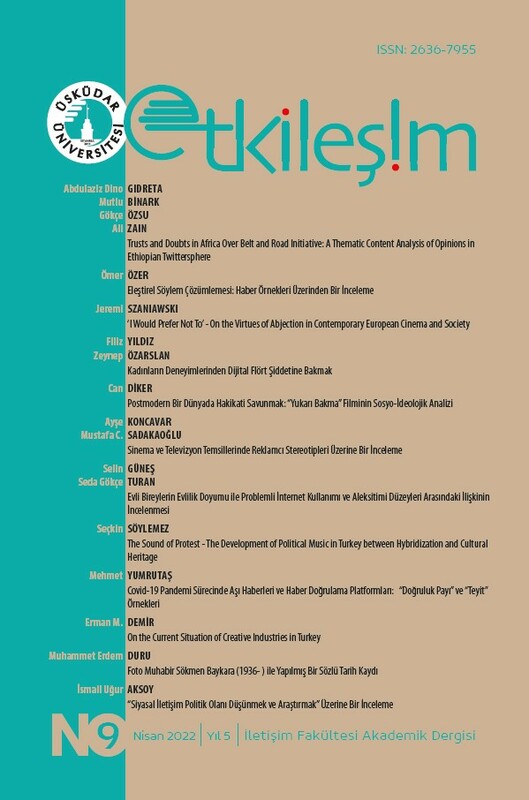 We expect academicians and researchers to contribute to the aim of institutionalization from the first issue of Etkileşim.